BAUKO, Mountain Province – Mayor Abraham B. Akilit underscored that the fourth-class town is now ready for investments, especially in terms of tourism-related establishments, to help improve its status especially in terms of economic growth. Akilit, who received the town’s plaque of recognition from the Cordillera Regional Competitive Council (RCC-CAR) after sustaining its second place position in the pillar of government efficiency, said the town needs more investments to help spur the growth of the local economy that will translate to more decent jobs and sustainable sources of livelihood for the residents. “We invite the investing public for the construction of inns, home stays and hotels in support to the town’s medical tourism” Akilit stressed. Bauko hosts the Luis Hora Memorial Regional Hospital which currently employs 49 doctors, 106 nurses and 13 midwives servicing 160 hospital beds with an on-going initiative of the hospital administration to increase the bed capacity to 300 units. Further, Mayor Akilit emphasized that the hospital’s dialysis center is now operational and the construction of the regional drug rehabilitation and regional evacuation centers are now underway which will surely trigger the patronage of people from other neighboring and far flung municipalities that will benefit the local businesses. 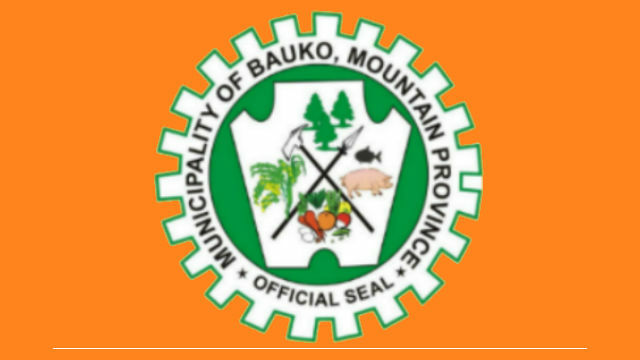 According to him, investing in the beautiful and peaceful Bauko guarantees the businessmen attractive tax exemptions from business sales taxes, mayor’s permit fees, building permit fees and real property taxes which is due to the local government. Akilit announced that 100 percent tax exemption will be applied for the first year of operation of business followed by 80 percent for the second year, 60 percent for the third year, 40 percent for the fourth year and 20 percent for the fifth year of the existence of the business in the locality. Bauko is very accessible from 3 major routes, the Baguio-Bontoc national road popularly known as the Halsema highway, Mountain Province- Cervantes road and the Bontoc-Banaue road. Mayor Akilit revealed the outskirts of the town can be reached through various existing farm to market and tourism roads although the same need more improvements. Moreover, he stated that there are still on-going construction of 6 Department of Trade and Industry– Department of Public works and Highways (DTI-DPWH) convergence industrial roads amounting to hundreds of millions of pesos with the hope that with the continued support from responsible DTI and DPWH officials, the release of funds for the other proposed industrial roads next year will be achieved the soonest considering that the projects are needed for the booming tourism and livelihood activities in the locality. Bauko is also blessed to have economic activities like coffee and muscovado production, weaving, garments, heirloom rice, pottery, organic produce, dairy milk and food processing among others that serve as part of the sources of livelihood of the growing population but what is important is the putting in place of tourism infrastructures and businesses.